Hair removal methods, such as waxing or shaving, are often ineffective and just plain irritating and inconvenient. With laser hair removal, you get a permanent reduction in hair in those unwanted areas to reveal smooth, touchable skin. At Girard Internal Medicine in Philadelphia, Nicole Kimzey, DO, and her team provide laser hair removal with the innovative Icon™ Aesthetic System. Call the office or book an appointment online to learn how just a few simple treatments can minimize hair growth for good. Laser energy applied to your skin penetrates the surface to target hair-producing follicles. When the energy is converted to heat, these follicles absorb the heat and are destroyed. This makes hair growth impossible. Dr. Kimzey uses the state-of-the-art Icon laser system made by CynosureⓇ. What areas can be treated with Icon laser hair removal? 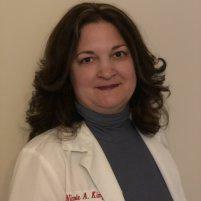 Talk to Dr. Kimzey about areas of hair growth that irritate you to create a customized plan. Most skin types and colors respond well to Icon hair removal treatments. Hair grows in cycles, so you need multiple sessions to target all of your hair follicles while they’re in the growth cycle. The exact number of sessions you need varies, but most people benefit from about six sessions spaced approximately three to four weeks apart. Icon hair removal is precise and quick – each treatment takes just a few minutes. You don’t have to repeat laser hair removal after the initial package of treatment; your results are permanent. No daily hassle of shaving or hair growing back between waxings. The Icon laser doesn’t affect your outer layer of skin and requires no downtime. Does laser hair removal hurt and what are the side effects? Laser hair removal can feel tingly and warm during treatment. Most people tolerate the quick procedures quite well without any numbing cream. Following treatment, ice packs can cool down any discomfort. You can go back to all your daily activities following a laser hair removal session. You may have some redness on treated areas, similar to a sunburn, but this resolves quickly. If your face was treated, you can wear makeup to mask any redness. You do need to be extra careful to wear sunscreen on treated areas because that skin is temporarily more sensitive to ultraviolet rays. To learn the benefits of laser hair removal, call the office or book an appointment online.